Texas Sedge is also called Carex Texensis. This is a summer annual grassy weed. It prefers sandy soils ranging from dry to moist to sometimes wet. Reddish brown to greenish brown blades. There is a branching seed head that produces seeds in long narrow spikes that are flattened and are yellowish to reddish brown. The scientific name for the Texas Sedge is Cyperus polystachyos. The plant is native to the southern, eastern and central United States. It got its name from its dominant growth location which is in Central Texas. It is incredible that the plant can survive the environment in Central Texas which is hot and dry. The Texas Sledge has round stems and a fibrous root system. The plant can grow up to twenty inches in height. The heads of the seed have clusters at the end of its branches with flat spike-lets. The number of branches varies from one plant to another; some can have just a few while others can have many. 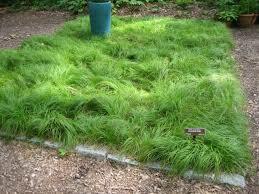 Texas Sedge looks great in your water garden and ponds. When it matures, it gets to 4-6 inches. 10 to 12 inches wide and preferably have sunlight or shade. The plant is attractive and fun, and you can use it as a replacement for grass. The plant has a beautiful yellow-green color and a tuft appearance. It can thrive in drought conditions and has low foliage. Low foliage translates to lower maintenance compared to grass. 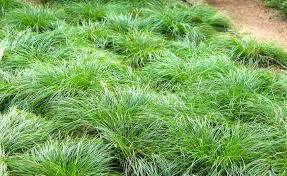 Because it can survive in drought conditions the ideal soil for planting the Texas Sedge is slightly wet or dry, and this means that you will make huge savings on your water bills. Texas sedges will grow super fast around bodies of water; Growing in zones 4-11. It can grow up to only 6 inches or more depending on the soils conditions. Very, very, very flowy and gorgeous! Great choice!